The troop committee has many responsibilities and functions that facilitate a well-run troop. 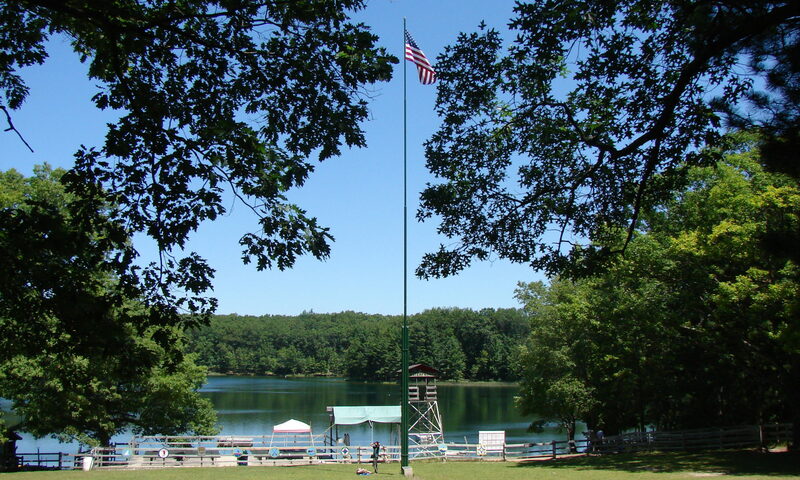 These include equipment, finance, advancement, training, transportation, helping to provide camping opportunities, and generally supporting the Scoutmaster. We know the Scoutmaster’s number-one job: to train and mentor the youth leaders so they can run their troop effectively. But what is a committee member’s most important responsibility? Getting all the things that I mentioned done is certainly important, but we must not forget why we are here: Because the Scouts! 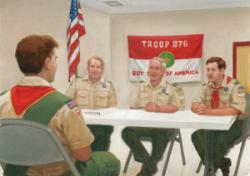 And in service to our Scouts, the most important is to serve on a board of review. The Scoutmaster has other duties as well – to approve each individual Scout’s advancement, to discuss merit badge opportunities, to see that the Scouts have the things they need to have a meaningful experience, and to lead and manage the other adults. Likewise, the committee has numerous responsibilities. They manage the troop’s finances. They take care of the rolling stock and purchase tents and other camping gear that the scouts need. They sign contracts, arrange camp reservations and enter the lotteries for high adventure trips. They send deposits and payments for summer camp and coordinate getting the Scouts there and back. They administer membership, track advancement and do the annual rechartering. But serving on a board of review is no administrative task. 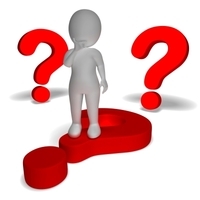 We don’t just go through the motions, ask a standard list of questions and sign the advancement report at the end. And despite the imposing title, a board of review isn’t an inquisition. Properly conducted, a board of review is our window into the Scouting experience through the eyes of our Scouts. It helps us assess how the troop is doing at supporting their patrols. It lets us see that the program is having a positive impact on the lives of our young people. It can tip us off to things that are going on that we might not realize are happening – both good and bad. During my years as a member of the troop committee, one of the greatest experiences for me has been to see the Scouts grow – not just physically but in character as well – through their time in the troop. Having served on a board of review for a young man as a candidate for Tenderfoot, I’ve been able to follow his progress from rank to rank through subsequent boards of review, and have in a few cases been a part of his Eagle Scout board. Watching a boy grow through Scouting is truly a joy and we’ve had a lot of fun reminiscing. If you are a committee member and are asked by your advancement coordinator to serve on a board of review, jump at the opportunity to learn about your Scouts and how their troop is serving their growth and development. And if you’re not registered on the committee, ask your committee chair how you can serve. Next PostNext Stop flipping them!